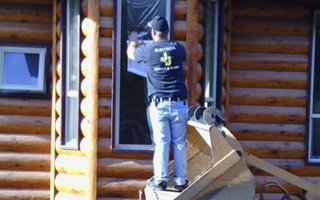 J&J Screen & Glass are local Placer County window installation experts specializing in screen, glass and electrical. We offer superior quality products and services to our valued Placer County clients. 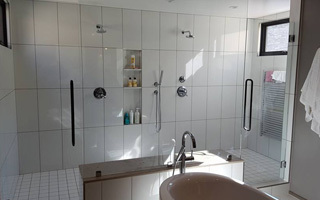 Since 1984, our experienced and professional team of experts has been dedicated to providing you with prompt, reliable and dependable products, service and installation. J&J Screen & Glass is proud to be family owned and operated. Our reputation has been built on customer care, honest answers and high-quality reliability. We specialize in a wide range of residential products and services including, window installation, replacement windows, screens doors and windows, patio doors, sun screens, screen doors, storefronts, safety glass, tempered glass, plate glass and we can accommodate all of your residential electrical needs. Powered by perfection, J&J is committed to providing a service far greater than any other. No matter what your budget may be, quality is always our number one goal. Your life is busy enough, so we strive to accommodate your schedule, not ours. Call the pros at J&J today and get it fixed right the first time, on time. Let us power your life, now and into the future. Window Installation, Window Replacement, Glass Repair, Screen Doors & Windows, Commercial Storefront Glass in Lincoln, CA and Placer County. If you are looking for a Lincoln window installation company, then please call 916-645-3151.